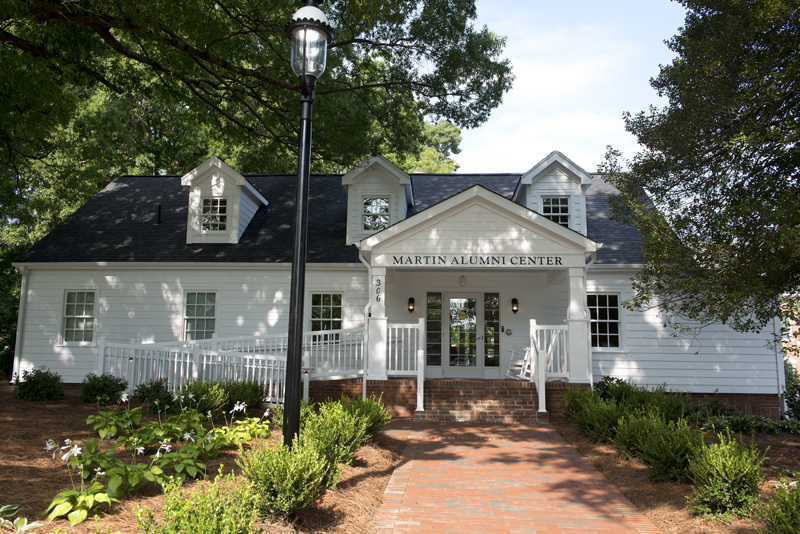 Located in the historic “Rich” house on the corner of Haggard and North O’Kelly avenues, the Martin Alumni Center is Elon's new campus home for alumni. In the words of Elon President Leo M. Lambert, “great universities have great alumni bodies.” We agree. Elon alumni are incredible and we are so excited to celebrate your contributions to the Elon community through the Martin Alumni Center. We hope to see you soon.